TAXI FROM MALAGA AIRPORT TO FRIGILIANA OR FROM FRIGILIANA TO MALAGA AIRPORT. Taxi from Malaga Airport to Frigiliana and further destinations by private and personal taxi. We guarantee a happy and stress free journey! On this form you can booking Malaga airport transfers from or to Frigiliana. Frigiliana cabs have the best price. Transfer Meeting Point at Malaga Airport. 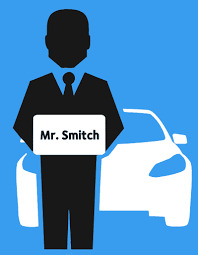 It is easy to find your driver at Malaga Airport! You will normally enter the baggage reclaim hall in the new terminal 3 after coming off your flight. If you have large luggage, take your luggage from the baggage reclaim belt. After passing through into the arrivals hall from the baggage reclaim hall you will see your driver waiting with an official, stamped, a size sign with your lead passenger name clearly printed on it. Your driver will help you with your luggage to your vehicle waiting just outside the Arrivals Hall. You will not need to queue! You will arrive in Nerja or other destination safely and soundly.